Facebook groups have become a popular way to sell used things such as cars, furniture, second hand electronics, and clothes. In the UAE alone, there are hundreds of groups organized around buying and selling second hand. These groups range from hundreds to tens of thousands of members. Some of the groups are private and require administrative approval to join. Others are public and open for anyone with a Facebook account. Some are organized around location or living communities, so members are people who live within a particular gated community (although it isn’t uncommon for people from outside to join since identity is difficult to verify). Others are organized by interests, such as mums classifieds or Dubai expats. However, unlike purpose-built apps like Melltoo Marketplace, which provides a Facebook experience specially designed for buying and selling, Facebook groups are not optimized for classifieds. This is especially true since we recently launched our Melltoo Pay&Ship Secure service, where we handle the headache of promoting selling posts, payment and delivery on your behalf. Nonetheless, the following tips should help you if you chose to start selling secondhand on Facebook. In order to post your item for sale on a Facebook group, you have two options. Post it on your personal timeline then share the post to groups. This option is probably easier because you post once and then share to the groups individually through the sharing tool. However, you may not want your friends to see what you’re selling something, in which case you should use option 2. Post on the timeline of each individual group. This is cumbersome particularly if you want to post to multiple groups, which is typically the best way to get your item noticed. Pictures sell. Be sure to post a picture of your item if you want anybody to look at it. In the “write post” section, include the name of the item, price, and brief description. Usually, more than one photo per item is a good idea, since it will allow you to show off the item from many different angles. You may have a group of things to sell, say an entire living room set that consists of sofa, carpet, coffee table and lamp. Take a group picture and then individual pictures of the items and upload them all in one post. Be sure to specify in the text of the post that the items may be bought as a group or individually. Indicate the group price in the post and direct viewers to click on the individual pictures to see the prices for each item if bought separately. After posting, click on the individual photos and add names, prices, and descriptions to each one. Unfortunately, the interface is very clunky and requires you to click around to accomplish this. Look for the right Facebook group to post your item to maximize interest and sales. For instance, baby items will get the most interest when posted to Facebook groups targeted to mothers. Cars and apartments are likely to go well in expat groups and generic buy sell groups. There are specialized groups for categories of items like electronics and designer fashion as well. There are some groups that do not allow the posting of certain items for sale and you can get yourself barred from these groups if you do. Be sure to read the group description carefully. The best thing is to spend some time researching groups on Facebook by typing in keywords in the search bar. Again, this is a somewhat time-consuming and unpleasant process, which is why Melltoo, a purpose-built social network for classifieds, exists. Very often, your post doesn’t get seen and is buried shortly after. Unfortunately, there is no way for users to search for specific posts, e.g. “brown sofa”. In this case, you will have to repost your item again to get it back at the top of the group’s news feed. The quick and easy way to do this is to add a comment on your own post and it gets pushed back up to the top of the feed. Many people frequently type “bump” as a comment to do this. Be wary about doing this too often because you might potentially annoy other group members and get yourself blocked from the group. When a potential buyer is interested in your item, she typically contacts you either by commenting on your post or “inboxing” (PM) you. If she comments on the item, you will get a notification of such. This is useful so you can respond to the buyer quickly. However, this is also public and gets seen by everyone who’s looking. This isn’t ideal when there is a lot of back and forth between you and the buyer when negotiating the price for instance. The alternative is for the buyer to send you a private message or PM which arrives in your “Other” inbox. Please note that you are NOT notified when messages arrive in your “Other” inbox, you have to manually check it from HomeàMessagesàOther. In addition, the “Other” inbox is not accessible on the Facebook messenger mobile app, so you can only check it by going through a web browser. Unfortunately, this means that you will probably miss many messages from potential buyers if you are not actively checking this space. As a result, many buyers will comment on the item saying: “PMed you” so that you will be notified via the comment to go check your “Other” inbox. Again, the interface for Facebook groups was not designed for buying and selling, unlike Melltoo, which has a built-in chat where buyers and sellers can communicate instantly. Finally, the best way to get your item sold quickly is to share it with as many people as you know, including people on other social networks. Facebook doesn’t really give you an easy way to do this. One way is to obtain a direct link to the post by clicking on the date/time of the post to open it. Once it’s open, you can copy the link from the address bar and use it to share to your other networks such as Twitter and Google+. 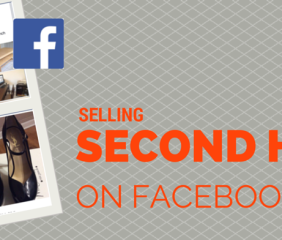 Facebook groups have in recent times become a busy place to buy and sell second hand. People prefer it to web-based classifieds because of the user experience and the ability to interact with others socially and on mobile. However, the Facebook groups interface isn’t designed for buying and selling so it can be cumbersome at times. 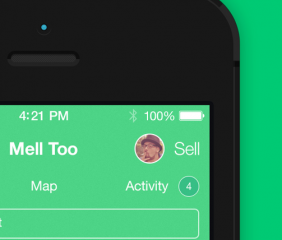 If you are looking for a similar social experience that is especially designed for buying and selling, download the Melltoo app, which is available on iOs and Android. The #hashtag is a way to organize information by interests to make information searchable. They are primarily used on social media such as Facebook, Twitter, and Instagram. In fact, the use of the #hashtag was popularized by Twitter. Create a #hashtag typing #YourInterest, making sure there are no spaces in between words. For example, I’m interested in social media, so I use #socialmedia hashtag when I post something related. If I search for #socialmedia on twitter, I will find all the tweets on the same topic. If I include #socialmedia in my tweet or in a Facebook post, anybody searching for #socialmedia will see my post/tweet displayed in the search results. You can search for hashtags that already exist or you can create your own hashtag. Just make it simple, understandable and easy to use. If you do a good job, other people will start using your #hashtag as well. Here is 7 common mistakes to avoid. To learn more about the Hashtag, read The Beginner’s Guide to the Hashtag. You can also use the hashtag on Melltoo! If you are looking for a specific product on Melltoo search for #YourProductName. A listing of items with the #hashtag will be displayed on the browse screen. If you are looking for an m-store or a catalog of items from a specific group or organization, search #YourStoreName, #YourGroupName or #YourOrganizationName. All the listings and ONLY the listings of your store, group or organization will be displayed on the browse screen. If you are selling your iPhone, you can include #Phone in the title or in your item’s Description. 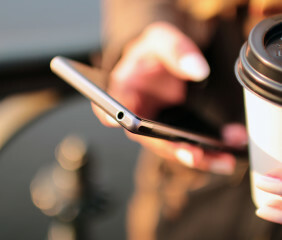 If you are selling the same iPhone and you want to identify your post as part of the JTL Community, you can use #JTL. You can also use both, #Phone and #JLT. You can even use additional #hashtags in the same post but too many #hashtags might end up confusing your buyer.